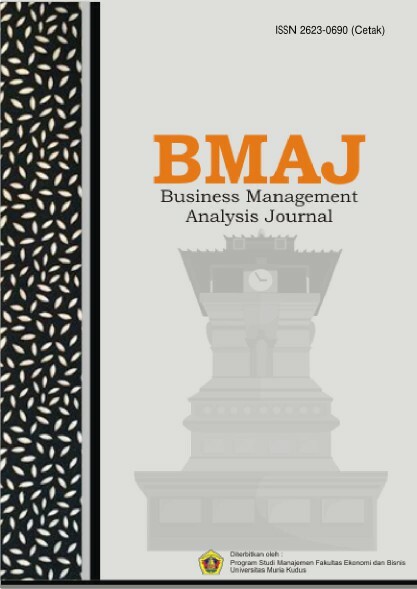 Business Management Analysis Journal (BMAJ) with E-ISSN 2655-3813 and P-ISSN 2623-0690 is a journal published by Management Department, the Economics and Business Faculty, Universitas Muria Kudus. 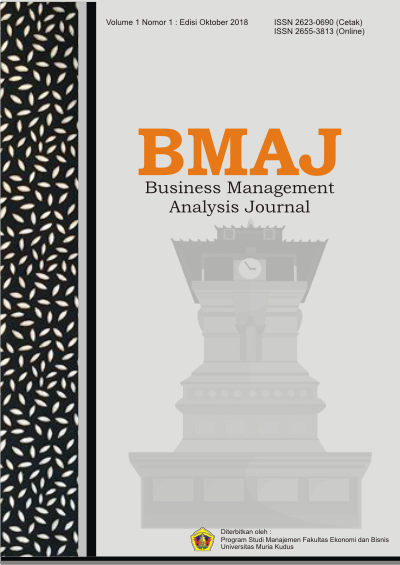 BMAJ publishes twice in a year (on April and Oktober) consisting 5 articles and accepting articles in the fields of financial, human resources, marketing, operation, strategy with the standard of research method for publication. The articles can be written by researchers, academics, practitioners, and observers in the field of Management who are interested to research in Management area. Belum ada informasi yang diterbitkan. Business Management Analysis Journal is licensed under a Creative Commons Attribution 4.0 International License.